The Film Detective has announced that ten new film restorations will be heading to the DVD marketplace on Mar. 14. 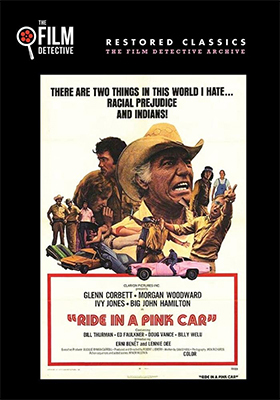 Leading the charge is writer/director Robert J. Emery’s 1974 independent theatrical release of Ride in a Pink Car, which is making its DVD debut here (previously only available on VHS). Gid Barker (Glenn Corbett — The Crimson Kimono, Homicidal, Chisum, etc.) is dead, he died in Viet Nam. Not really, but everyone back home in Benton, Florida thinks that he died. It’s news to him, and to his very surprised now ex-girlfriend Sheryl (Ivy Rose), who, thinking he was dead, married his brother Frank (Edward Faulkner). The news gets even darker when Gid hooks up with his old boss, who warns him to get out of town — he even offers to find him employment in Atlanta as an enticement to hit the road. It seems that the Richman clan has taken over the town, they own the law and even have Rain Eagle (Erni Benet), Gid’s old buddy — an Indian — locked up in jail for murder. What’s a “dead man” to do? Sweetheart gone, buddy in jail and the powers that be are ready to bury you … if you are a loner Viet Nam vet with a short fuse and a skill set you fight back! Before the closing credits, “Billy Jack” will be resurrected (Ride in a Pink Car is a very close cousin to Tom Laughlin’s 1971 mega-hit), blood will flow and old lovers will be reunited. What does the “Pink Car” have to do with all of this? It seems that there is a stranger in town, who drives a pink Plymouth Sebring, who comes to the aid of Gid on various occasions. 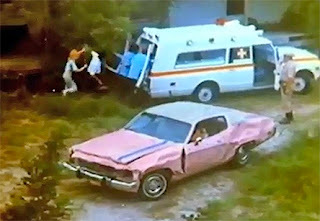 The car takes a hell of a beating during the film’s 83 minutes, but it is still running (sort of) at the twist ending. Also on the Mar. 14 release calendar is director Stu Segall’s 1976 film release of C.B. Hustlers. Before Convoy and before Smokey and the Bandit, there was C.B. Hustlers and the celebration of the technology — the C.B. radio — that could defeat speed traps and get those truckers past old smokey! The Film Detective loads up on Westerns in this Mar. 14 release package with seven tales of the old west, three of which star William Boyd as Western icon Hopalong Cassidy … these are: Range War (1939), Renegade Trail (also from 1939) and Pirates on Horseback (Hopalong Cassidy rides in this 1941 release). The other Westerns in the group are (in chronological order): Rawhide (1938, with baseball legend Lou Gehrig, who is teamed with Smith Ballew and Evalyn Knapp), Fugitive Valley (1941, starring Ray “Crash” Corrigan), Gangsters of the Frontier (Tex Ritter rides in this 1944 Western release that co-stars Dave O'Brien) and director Albert C. Gannaway’s 1957 film releases of Raiders of Old California, whose cast includes the likes of Jim Davis, Marty Robbins, Faron Young, Harry Lauter and Lee Van Cleef). Rounding-out this ten strong selection of new film restorations from The Film Detective on Mar. 14 is D.W. Griffith’s 1921 silent film masterpiece, Orphans of the Storm, starring sisters Lillian and Dorothy Gish. 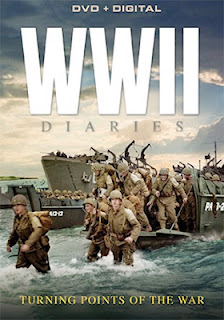 Mill Creek Entertainment announced its first wave of May DVD and Blu-ray priced-to-collect product offerings this past week. The street date for this first blitz is May 2. First, a little housekeeping … added to the Apr. 18 calendar of DVD selections is the collection titled 4 Movie Collection: Urban Thrillers. Priced at just $9.98, this action onslaught includes director Joe Roth’s 2006 film adaptation of the Richard Price crime novel Freedomland, teaming Samuel L. Jackson with Julianne Moore; Scenes of the Crime (with Jeff Bridges); The Tenants (with Dylan McDermott and Snoop Dogg) and director Michael Stevens’ Sin, starring Gary Oldman, Ving Rhames and Kerry Washington. Shifting to May 2, Mill Creek Entertainment leads the way with the release of the massive 19-disc DVD collection titled WWII: The Complete War Report - September 1939 - September 1945. 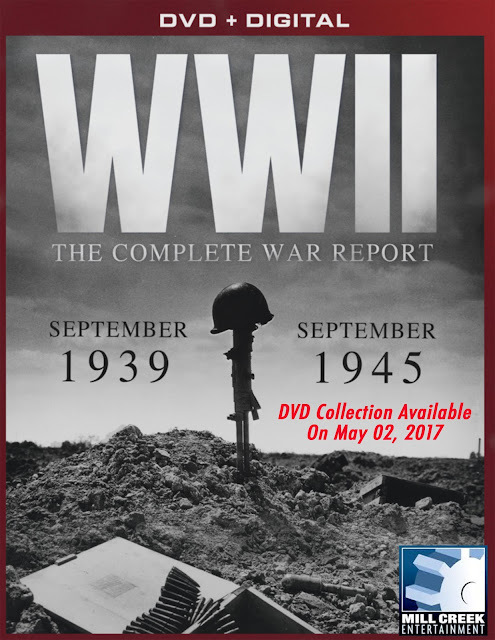 Priced at just $39.98, this unique presentation breaks down World War II in month-by-month segments that are one hour each in length. 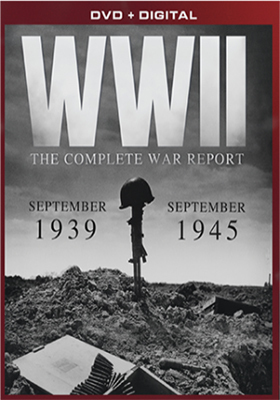 Newsreel footage, archived war footage and photographs from the period have been assembled to create a comprehensive narrative of all of the action from the invasion of Poland in September of 1939, through the final surrender of Japan in September of 1945. The 19-disc set also includes as a bonus Mill Creek’s multi-platform Digital Copy download (ROKU, Amazon Fire TV, Apple TV, etc.). Also heading to retailers on May 2 are the double-disc set titled WWII Diaries (with Digital Copy), an 11-hour expose that examines ten key “turning points” of World War II — these range from the invasion of Poland, Dunkirk, the Battle of Britain, Pearl Harbor, D-Day and the coming of the atomic bomb — and Special Forces: The Fight Against Terror (with Digital Copy). On the movie front, Mill Creek Entertainment has five multi-film collections ready for fans to enjoy on May 2. Leading the way is the three-disc, ten-film set titled 10 Movie Collection: Life's a Beach, which includes ten selections all with a beach-and-summer-fun/action theme. The films showcase in this collection are: Hardbodies (1984, with Teal Roberts and Grant Cramer), Private Resort (1985, Johnny Depp), Spring Break (1983), Lovelines (1984, teaming Greg Bradford with Mary Beth Evans), The Beach Girls (1982), Malibu High (1979, starring Jill Lansing), Malibu Beach (1978) and three action flicks written and directed by Andy Sidaris — Hard Ticket to Hawaii (1987), Savage Beach (1989) and Return to Savage Beach (1998). There are three five-film sets and two four-film collections also on the release docket for consumers to select from on May 2. 5 Movies: War Favorites features writer/director Robert Pirosh’s 1951 film release of Go For Broke!, detailing the World War II exploits of the 442nd Regiment; This is the Army (1943, featuring an all-star cast that includes Ronald Reagan, George Murphy and Joan Leslie), Blood on the Sun (1945, with James Cagney and Sylvia Sidney), Thunderbolt (1947 documentary with James Steward) and Combat America (1943 documentary with Clark Gable and Bob Hope). 5 Movies: Sci-Fi Cinema includes Laser Mission, Hands of Steel, Abraxas: Guardian of the Universe, Slipstream and The Firing Line, while 5 Movies: Action Adventures has One-Eyed Jacks, Dan Candy's Law, Gone with the West, Yuma and Colorado Sundown. Rounding out the movie collections for delivery to retailers on May 2 are 4 Film Collection: Soviet Spies (titles include: Little Nikita, The Russian Specialist, Man on a String and A Dandy in Aspic) and 4 Sci-Fi Thrillers: Global Invasion (Remnants, Solitary, Another Kind and Stranglehold are featured in this collection). For TV fans there is the double-disc collection of Red, White and Blue Collar Sitcoms (a 15 episodes sampling that includes: Married with Children (3 episodes), The Jeff Foxworthy Show (3 episodes), Archie Bunker's Place (2 episodes), Roseanne (3 episodes), 3rd Rock from the Sun (2 episodes) and Grounded for Life (2 episodes). 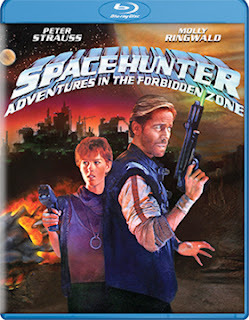 Last, but certainly not least, is the Blu-ray debut of director Lamont Johnson’s 1983 space saga, Spacehunter: Adventures in the Forbidden Zone, starring a pre-Sixteen Candles, pre-The Breakfast Club and pre-Pretty in Pink Molly Ringwald. Icarus Films will be teaming with the KimStim Collection on May 9 for the DVD debut of Swedish filmmaker Daniel di Grado’s film adaptation of the Kim W. Andersson graphic novel, Alena. So you think Lindsay Lohan is the only high school victim of “mean girls?” Well, the mean girl syndrome is not only not unique to the once promising acting career of Lindsay Lohan, or even to United States high schools in general, but it is an international thing as well. 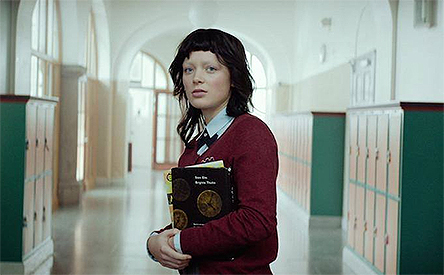 Lohan’s “distant cousin,” Swedish teen Alena (Amalia Holm), checks into her new school and the “stink” of her social-class standing is too much for the mean girls to bear. We are rich and privileged, so how dare you walk the same halls as us … that’s the message that she receives loud and clear from Filippa (Molly Nutley), the titular leader of these very mean girls. At least Alena has one friend, another former classmate by the name of Josefin (Rebecka Nyman), with whom she has a relationship that transcends just friendship. 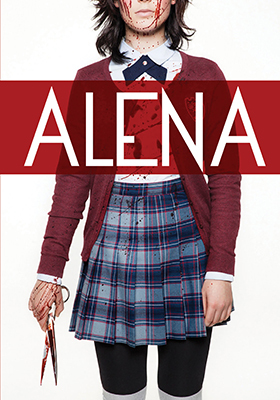 Whereas Lohan’s Mean Girls was a comedy with social commentary on the spiteful nature of teenage female jealousies and social cliques, di Grado’s Alena is more closely related to another girl-bullying movie, Carrie. When the affronts become overt there is payback … brutal payback. Don’t mess with Alena, or perhaps it is don’t mess with Alena as an unhinged Josefin is watching! In any case, by the film’s closing credits Filippa learns a valuable lesson — or two — about the tenuous nature of her own once vaunted social standing. Alena is presented in Swedish with English subtitles. 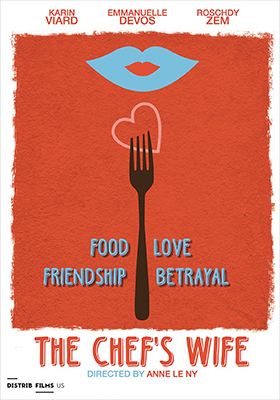 Icarus Films has also selected May 9 for the release of the Distrib Films’ production of director Anne Le Ny’s The Chef’s Wife on DVD. Help me, help you, help ME! That’s the twist of this French-language import as we are first introduced to Marithé (Karin Viard — Time Out, Delicatessen), a professional job counselor, who happens upon a client named Carole (Emmanuelle Devos — Read My Lips, Coco Before Chanel), who is less than honest with her. When Marithé meets Carole the second time at the fancy Le Moulin Blanc restaurant she suspects that something is amiss. And sure enough, the next day Carole is back in her office with both an apology and the truth. Basically, her husband Sam (Roschdy Zem) is the big shot chef at the restaurant and she is nothing more than a fancy-dressed hostess. No problem, once Marithé understands Carole’s needs, she sets about to find her a suitable career path … especially since she has taken more than a liking to her husband! It’s complicated in that Carole doesn’t possess much in the way of a skill set. Thus, Marithé’s challenge is to help Carole find a career that will keep her very busy and then steal Sam … that plan has all of the makings of a perfect recipe for a disaster of comic proportions! The Chef’s Wife is presented in French with English subtitles. Cleopatra Music and Film, with sales and distribution expertise provided by MVD Entertainment Group, will be bringing director Roger Spottiswoode’s 2016 film adaptation of the James Bowen and Garry Jenkins’ best-selling novel, A Street Cat Named Bob, to home entertainment marketplace as both DVD and Blu-ray product offerings on May 9. The film had a very limited domestic theatrical break during the Thanksgiving period this past year (opening on just 24 screens nationwide — against the likes of Fantastic Beasts and Where To Find Them, The Edge of Seventeen and Nocturnal Animals), thus the DVD debut in early May will be the first chance for the film to reach a mass consumer audience. For the record, the ARR comes in at 172 days and box office receipts totaled $82,703. Real-life stories are often better tales than their fictional counterparts … and such is the case here. James Bowen (played by Luke Treadaway — Unbroken, Clash of the Titans, The Hollow Crown, etc.) lives on the streets in London as a homeless, drug-addicted failure, who seems — at first — to be the most unlikely of heroes. A social worker by the name of Val (Joanne Froggatt — best known to American audiences as Anna from the Downton Abbey television series) gets him into a “last chance” program that takes him off the streets and into a modest apartment. She’s heard it all — every reason and excuse; every hustle. But she does her job, gets him shelter and into a methadone program (trading, in effect, one addiction for another), but you get the sense that it might be to no avail. Let’s just count the days until he’s back on the streets. 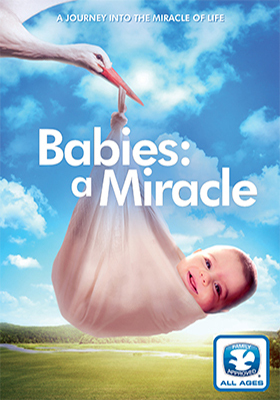 And then — remember, this is based on a true story — a miracle happens that will forever change Bowen’s life. A stray cat, with an infected leg, wanders into his apartment. It must belong to one of his neighbors, but inquiries prove to be fruitless. What to do? His neighbor, Betty (Ruta Gedmintas — The Strain, The Incident), who has issues of her own, suggests a name for the cat, Bob (the cat in the film is the actual cat, whose name is Bob) and some advice on getting the little guy nursed back to health. 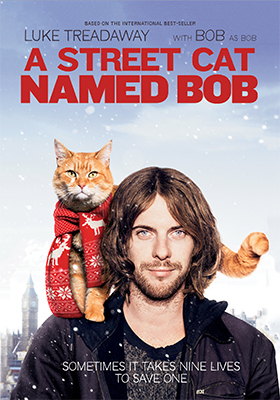 That requires that Bowen actually do something for someone other than himself … Bob the cat. The plan is a simple one. Get Bob’s leg healed, get rid of Bob and then he will be free to get back to his meaningless, addicted lifestyle. There’s just one problem, Bob has “adopted” Bowen and will not leave his side. 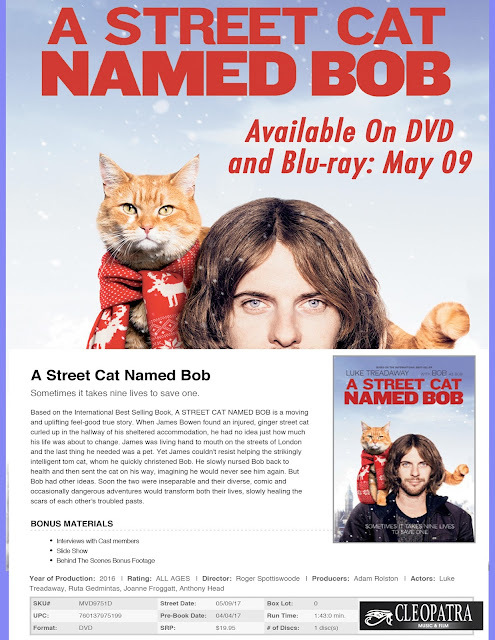 He rides on the bus with him, helps him out with his street gigs … and suddenly passers-by take notice of the two; audiences grow and the legend of Bob the cat is born! Bonus goodies for this feel-good film include video sessions with cast members, a still’s gallery and behind-the-scenes footage. 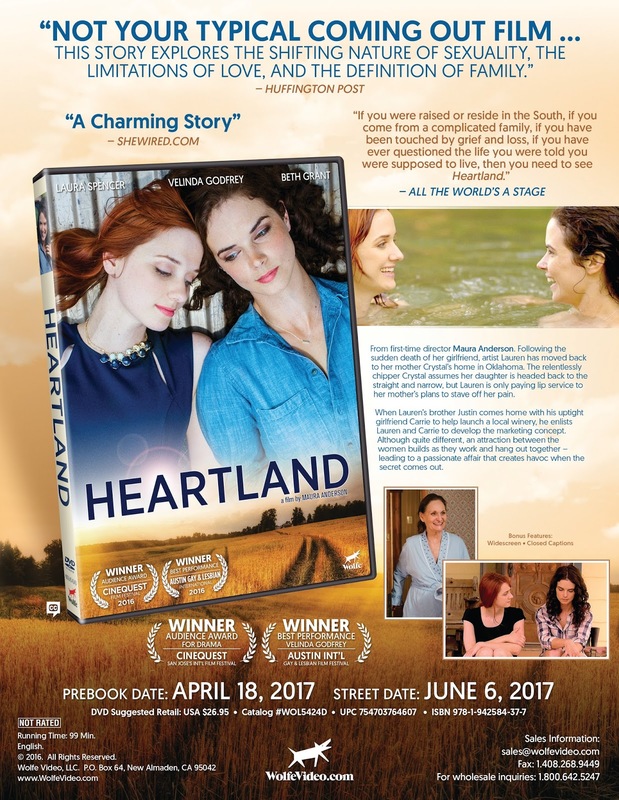 In Wolfe’s DVD debut of director Maura Anderson’s Heartland on June 6 we also learn that sometimes you just have to stop digging and accept the fact that everything is screwed up … and just deal with it. There are bigger issues at play. Lauren (played by Velinda Godfrey, also co-wrote the script with fellow actor Todd Waring) has just lost her friend and lover to cancer. For her it is a tough emotional time and that is to be expected. Grief can consume. She retreats to her childhood home in Guthrie, Oklahoma (about 20 miles north of Oklahoma City), to live with her widowed mother, Crystal (Beth Grant — No Country for Old Men, Little Miss Sunshine, Rain Man, etc. ), who believes in her heart of hearts that her daughter will become “straight” once again. Mom always has a smile on her face, keeps busy with her hobbies and is a devout church-goer … she’s a sweet lady. Lauren’s mother means well, but she’s not going to fix things, so it is best not to get into it. Time, more than anything, will heal the pain of Lauren’s loss. Also back home is Lauren’s brother, Justin (Aaron Leddick), who knows how to keep mom at bay (the right words; the right amount of devotion). He is consumed with getting ahead and has big plans for a Napa-style winery on the outskirts of Oklahoma City. He offers little comfort to his sister and has little time for his fiancé , Carrie (Laura Spencer — perhaps best known to audiences as Jessica on the Bones television series and as Emily of The Big Bang Theory), who is like a fish out of water in Oklahoma (a California girl). Director Maura Anderson and actor/writer Velinda Godfrey have set up the first act of the film with character introductions that deliver some interesting dynamics — a grieving Lauren, her cheerful mom, a way too-busy brother and his fiancé, who now has time on her hands when Justin suddenly takes off on matters relating to his new business venture. Heartland challenges the viewer and, like life, it can get messy. At what point do loving family members stop digging and start healing; start meeting the emotional needs of those who need the help most? 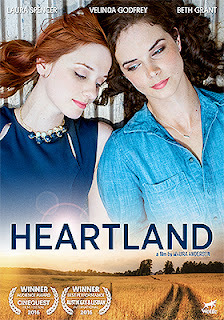 Yes, Heartland is a challenging film that breaks conventions, it doesn’t hold to well-worn genre motifs and that means that not everything will be neatly resolved by the final fade to black. 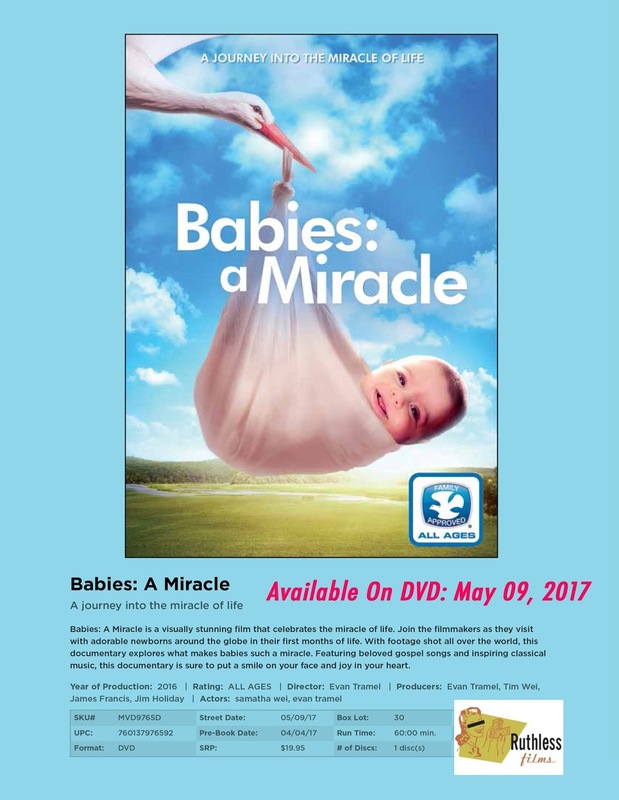 Ruthless Films, LLC, with sales and distribution support provided by MVD Entertainment Group, has selected May 9 as the DVD release date for writer/director Evan Tramel’s latest Dove Family Approved production, Babies: A Miracle. Sometimes one needs to just slow down and take in the everyday miracles that are all around us, such is the theme of filmmaker Evan Tramel’s Babies: A Miracle. With footage drawn from all corners of the globe, the armchair traveler can enjoy the little ones and their daily discoveries, who demonstrate that we are more alike than different … especially when young and innocent. The production is set against a backdrop of classical music and well-known gospel songs. Enjoy! Paramount Home Media will be bringing the next installment of the Showtime hit series starring Dominic West, Ruth Wilson, Maura Tierney and Joshua Jackson, The Affair, to the home entertainment arena on Apr. 25. 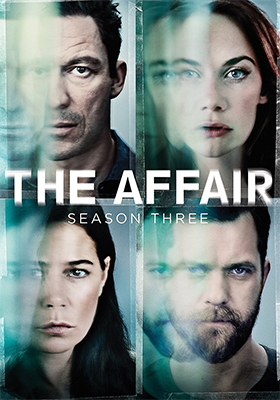 The Affair: Season Three well be a four-disc DVD set featuring all ten episodes from the 2016/17 season, which picks up the action three years after the conclusion of season two with the introduction of a new character, Juliette (Irène Jacob). If Lions Gate Entertainment Corp. (aka: Lionsgate) could be any more screwed than it already has been when it comes to the Summit Entertainment production of director Damien Chazelle’s La La Land, we just couldn’t think of any new affronts … that is until Target stepped all over the home entertainment announcement last Friday afternoon (Mar. 10) with its online solicitation for an Apr. 25 Blu-ray special edition (a Target exclusive). The film was denied its legitimate Best Picture win in this year’s Oscar competition by the Academy of Motion Picture Arts and Sciences and their stupid decision to nominate nine films in the category, thus ensuring that the votes would be split nine ways from sundown. It was a disaster waiting to happen. Murphy’s Law at its finest. The Academy not only put on a show that was openly touted as being something of a political protest on the run-up to the big night, but went that even one better by having a representative from an avowed terrorist state read a political message on live television (claiming, in part, that Iran is a victim of aggression). The Academy capped off the evening of this self-indulgence backslapping with the most colossal live-time screw-up in Oscar history. Oh, Murphy would be proud of such a fine example of his law’s vindication! Warren Beatty was handed the Best Actress envelope, instead of the Best Picture one by a representative of PwC (aka: PricewaterhouseCoopers), who was too busy texting to do his job properly. 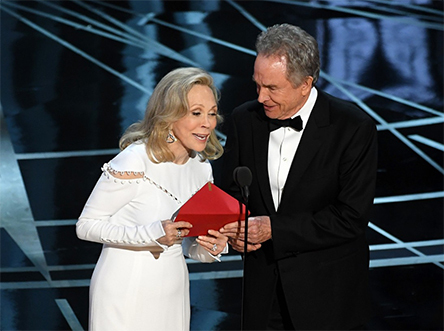 Beatty knew there was something amiss, but before he could stop the disaster from playing out in front of a worldwide audience, his co-star from Bonnie and Clyde, Faye Dunaway — thinking that he was goofing around (building suspense for the obvious choice) — snatched the envelope from his hand, saw “La La Land” and announced it as the Best Picture winner. The rest, they say, is history. Lionsgate Home Entertainment, once the film was announced as one of the Best Picture finalists (14 nominations overall, including Best Director, Best Actor and Best Actress), had a choice to make. Put La La Land on the home entertainment release calendar close to the Oscar telecast (late Feb. or early Mar.) or bask in the glory of its sure-to-be Best Picture win and let it play out theatrically for a few more weeks. It was well thought out decision to wait … and then disaster struck. The other studios had lingered in their decision-making to see what Lionsgate was going to do with La La Land. When it became obvious that it was going to get some extra theatrical playtime, the March and early April slots were quickly gobbled up — Passengers and Fences on Mar. 14; Sing, Assassin's Creed and Lion on Mar. 21; Fantastic Beasts and Where To Find Them grabbed Mar. 28; Rogue One: A Star Wars Story landed on Apr. 4; Hidden Figures on Apr. 11 and Split got an Apr. 18 release date. The next available window was Apr. 25 and Target says, in their quick-to-market pre-order launch, that that last street date in April will be the release date … before Lionsgate Home Entertainment could make an official announcement! Screwed and screwed again! Ingram’s videoeta.com web site confirmed the Apr. 25 on Saturday (Mar. 11), and amazon.com began taking pre-orders for an unspecified date immediately thereafter. For the record, La La Land arrives with an ARR of 137 days (as a result of “wandering in the wilderness”) and domestic box office receipts currently stand at an impressive $148.4 million. Planned for release are DVD, Blu-ray/DVD Combo Pack and 4K Ultra HD/Blu-ray Combo Pack editions. 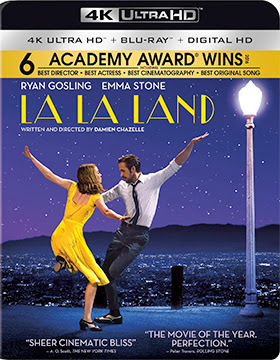 Bonus features include commentary from writer/director director Damien Chazelle and composer Justin Hurwitz, a trio of featurettes — “Another Day of Sun: They Closed Down a Freeway,” “La La Land's Love Letter To Los Angeles” and “Ryan and Emma: Third Time’s the Charm” — and the menu option to jump to any musical sequence.